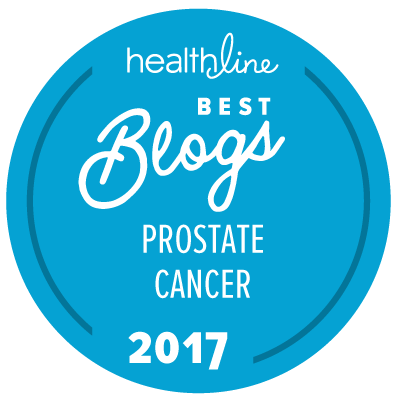 For many years researchers have been trying to identify so-called “surrogate” endpoints that can be used to predict overall and prostate cancer-specific survival with high accuracy. The availability of such surrogate endpoints would permit us to significantly shorten the time it takes to carry out clinical trials for patients with advanced and high-risk forms of prostate cancer. To date, the best such surrogate endpoint that has been accepted by regulatory authorities like the US Food and Drug Administration (FDA) and the European Medicines Agency (EMA) is radiographic progression-free survival, as measured by either an increase in the presence of metastasis or the initiation of onset of evident metastasis. This type of surrogate endpoint has already been used in the approval of drugs like abiraterone acetate (Zytiga), enzalutamide (Xtandi), and apalutamide (Erleada) for men being treated for non-metastatic castration-resistant prostate cancer (nmCRPC) and/or chemotherapy-naive CRPC. However, the surrogate endpoint that people would like to believe is predictive for overall and prostate cancer-specific survival is time to biochemical failure in certain specific categories of patient. Proving that this is or even may be the case has been much more of a challenge. A newly published paper by Dignam et al. in the Journal of Clinical Oncology has recently concluded that time to biochemical failure is predictive of overall and prostate cancer-specific survival in men with high-risk, locally advanced prostate cancer receiving long-term androgen deprivation therapy (ADT) together with definitive radiation therapy as a potentially curative form of care. The data which they used to come to this conclusion come from the NRG/RTOG 9202 trial in which men were randomized to either short-term ADT (for just 4 months) or long-term ADT (for 28 months). Is 28 months now a standard time for administration of ADT to men with high-risk localized prostate cancer in conjunction with radiation therapy? Was the dose of radiation delivered to the men in this trial optimal? Can the results published by Dignam et al. be replicated — either prospectively in a new trial or retrospectively using data from other, completed trials? A key problem is that the periods for which men were on ADT in the NRG/RTOG 9202 trial are unusual. Numerous trials have now shown that most men who need salvage radiation therapy in combination with ADT will do very well on just 18 months of therapy as opposed to 28 months, and so 28 months can hardly be considered to be a “standard” length of time for such patients to be on ADT — even if they are high risk. Equally, the patient in this trial who got the short course of ADT were treated for only 4 months, whereas many feel that an appropriate short course of ADT is more likely to be between 6 and 9 months in combination with radiation therapy. So would outcomes after 6 to 9 months of ADT also be predictive for overall and prostate cancer-specific survival? The “New” Prostate Cancer InfoLink is as enthusiastic as the clinical and research communities about whether we can find really good surrogate endpoints for use in clinical trials of new treatment for all forms of prostate cancer. … serve as a valid end point in clinical trials and may also aid in risk monitoring after initial treatment. However, there is still a long way to go if we are to prove this beyond a reasonable doubt. Another interesting paper that I will soon read. It is now 7 days short of 10 years since I started treatment for high-risk, localised prostate cancer. Although there have been no problems, I have been wondering about just such measures. Thanks for posting this.